Theremin World - Announcing the 2012 Therelympics! I love the Olympics. I love the competition, the patriotism, the sportsmanship, and the music. Last night, as I watched a medal ceremony, I found myself thinking... "I wonder how that anthem would sound like on the theremin?" And so the Therelympics were born! 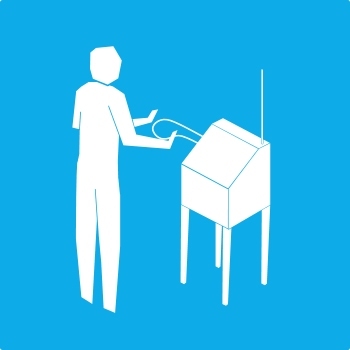 The idea is simple - record yourself playing any national anthem on the theremin and share it with the community. In the spirit of World Theremization and inclusion, you can even record anthems for countries that aren't participating in the Olympics. Unlike the Olympics, this isn't about competition. There are no points for technical difficulty or deductions for mistakes. Hopefully you'll feel inspired to tackle a new song and put your work out there for others to enjoy. Record audio or video of yourself playing any national anthem on the theremin, upload it to any social media sharing site, and post a comment below with a link to your music. You can use SoundCloud, YouTube, Vimeo, etc. - whatever is easiest for you. If you post your videos to Twitter or other services that allow tagging, use the hashtag #therelympics to make it easy for folks to find your anthem. If you're a SoundCloud fan, you can use the DropBox below to post your music. That's it! Let the games begin, and have fun! Here's a list of the entries so far. Who will be next?